The tartans were out, the drums were pounding and the whiskey was flowing on Saturday night in Garrison. It was the 7th Annual Hudson Highlands Pipe Band Burns Supper, at the Highlands Country Club, and everyone was in Scottish overdrive. Imagine a… Please login below or purchase a subscription to the Putnam County Courier to access this content. Each January school officials across New York State hold their breaths waiting to learn about individual district state aid allotments in the governor’s proposed budget. Last week was no exception. When the numbers were released three districts in P… Please login below or purchase a subscription to the Putnam County Courier to access this content. Pawling Village Justice Robert Apple has avoided state prison by pleading guilty to felony DWI in Carmel Town Court. The 56-year-old judge was stopped on Route 6 in Carmel last summer after police received several calls reporting a vehicle weaving i… Please login below or purchase a subscription to the Putnam County Courier to access this content. 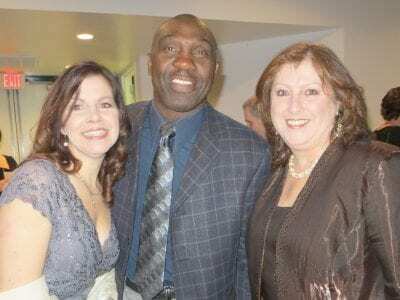 Brewster Sports Foundation leaders Patrice Bedrosian (left) and Lisa McPartland welcome Mookie Wilson to the affair. Two former professional athletes whose prowess on the football field and baseball diamond brought New York sports fans to their feet … Please login below or purchase a subscription to the Putnam County Courier to access this content. A 17-year-old Lake Carmel woman faces charges of assault and criminal mischief for allegedly attacking her mother following a violent family dispute. Kent Police arrested the unidentified woman last week after officers were dispatched to the family&… Please login below or purchase a subscription to the Putnam County Courier to access this content. People are shopping Putnam like never before. The county legislature’s Audit Committee heard from Commissioner of Finance William Carlin Tuesday evening who reported $51.4 million collected in sales tax revenue for 2012, a $2.1 million increase over… Please login below or purchase a subscription to the Putnam County Courier to access this content. 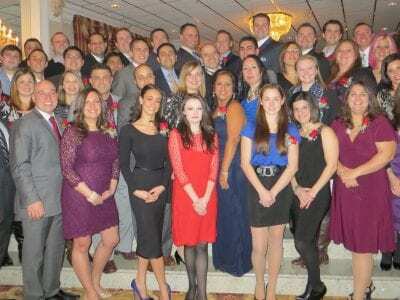 Putnam County’s inaugural 40 under 40 event has finally taken place, and by any measure it was a rousing success. Never before had so many of our finest businesspeople assembled in one room for a networking event, rewarding our belief that the… Please login below or purchase a subscription to the Putnam County Courier to access this content. Monday’s frozen precipitation resulted in a number of crashes while canceling most activities countywide, and more bad weather – this time, rain and high winds – was on the way overnight Wednesday and into Thursday, forecasters sai… Please login below or purchase a subscription to the Putnam County Courier to access this content.